Anytime an ETL process is run, all data for it is first cleared and then new data is brought on. 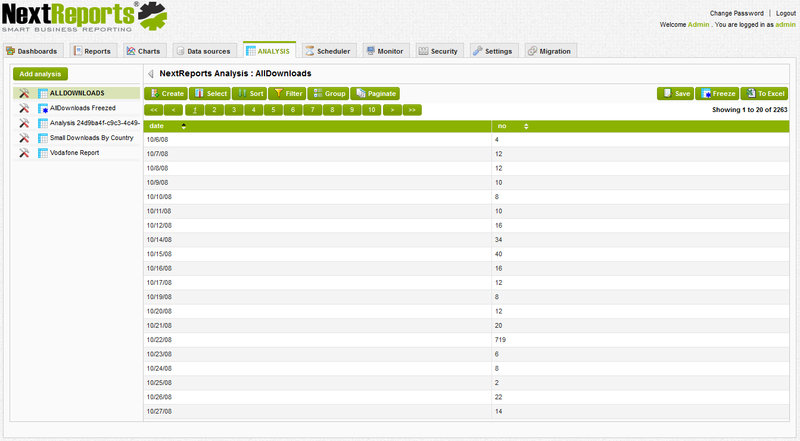 Inside analysis section, users can select from existing "analysis sources" to create new analysis. 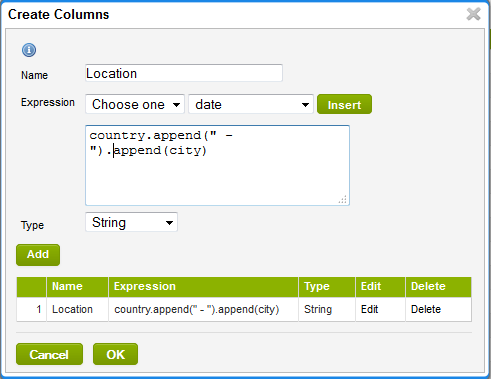 At the beginning all the columns are selected and users will see the entire set of data. 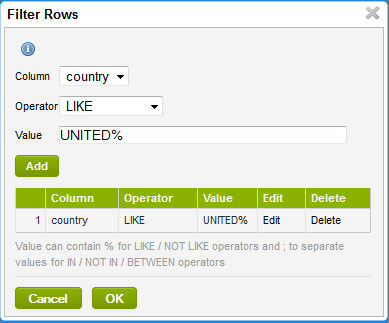 After obtaining the results, users can save the analysis for future view. This is handy, because if there is a scheduled ETL process that brings data locally, users are able to see updated data just by entering the analysis section. Results can be exported as excel and can be frozen. A "freeze" action means the data set is saved as a copy inside NoSql database and no other ETL process can modify it. Analysis can be shared to other users. If there is no need for it, analysis can be deleted. This process will also delete the data set associated with it if there is no any other analysis linked to that data set. To find more, you should read the server section manual.